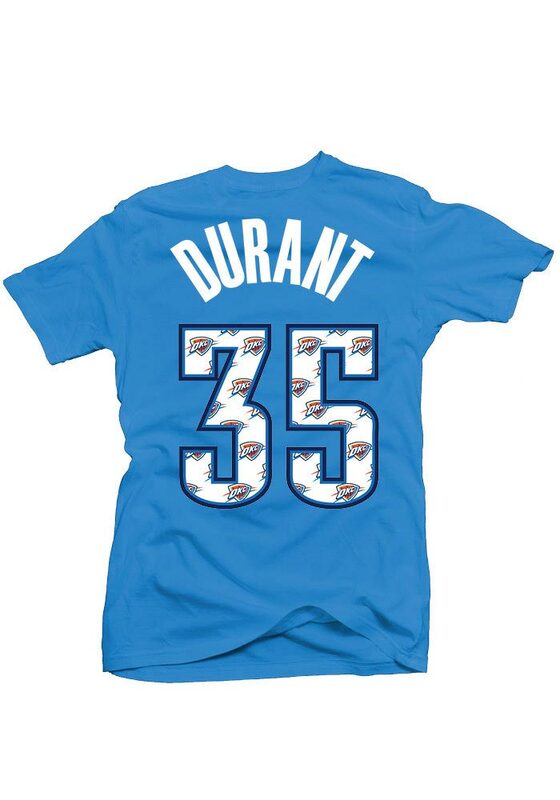 Support your favorite Oklahoma City Thunder player in this Womens Blue Repeating Logo Kevin Durant Short Sleeve Player Tee! This Player T-Shirt features a screen print `OKC` across the front with repeating logo on both front and back n, so you can show off your devotion to OKC Thunder , Kevin Durant! This is the perfect Oklahoma City Thunder Womens Player T-Shirt for any day of the week, even gameday!